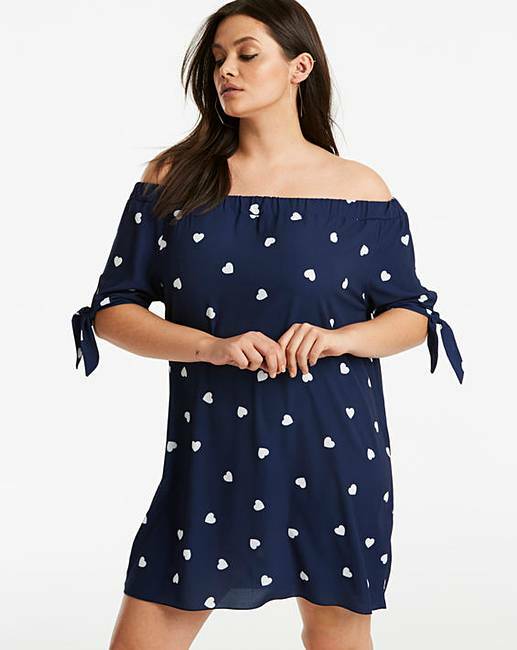 Quiz Bardot Heart Print Dress is rated 4.0 out of 5 by 2. 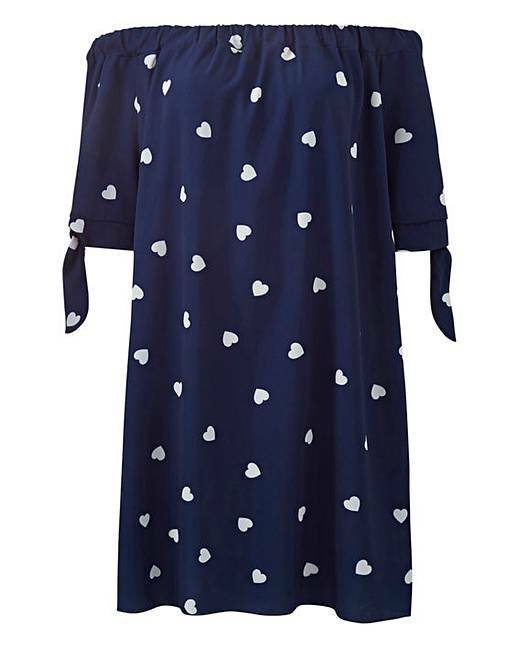 This lovely bardot dress by Quiz Curve, in a navy colour, features an all-over white heart and tie sleeve detail. Dress down with pumps and a denim jacket, or dress up by adding heels and accessories. Rated 3 out of 5 by Eryilmaz2019 from Definitely not a Dress ! more a top ! Bought this a few weeks ago for a upcoming holiday. Although it is true to size the length is definitely not true to size. Barely covered my backside so will be worn as a tunic over a pair of shorts. Nice fabric and colours , just wish it had been a few inches longer .